Go here to join a meeting with SBI Wealth Management. Accounts managed by SBI Wealth Management will be updated daily. Other accounts held outside of SBI, such as (bank accounts, 401k, loans, etc.) may be linked up by the client. Clients also have access to their own vault (document/file storage). A client’s vault is where important financial documents may be kept secure for future reference or to have them shared with SBI. Documents commonly held in the vault are often: tax returns, group benefit plans, legal documents, insurance policies, and any other relevant statements. Quarterly statements from the Black Diamond reporting tool will be directed to the client’s vault automatically. This site often serves as the “go-to” for clients as they can view all accounts under one login. 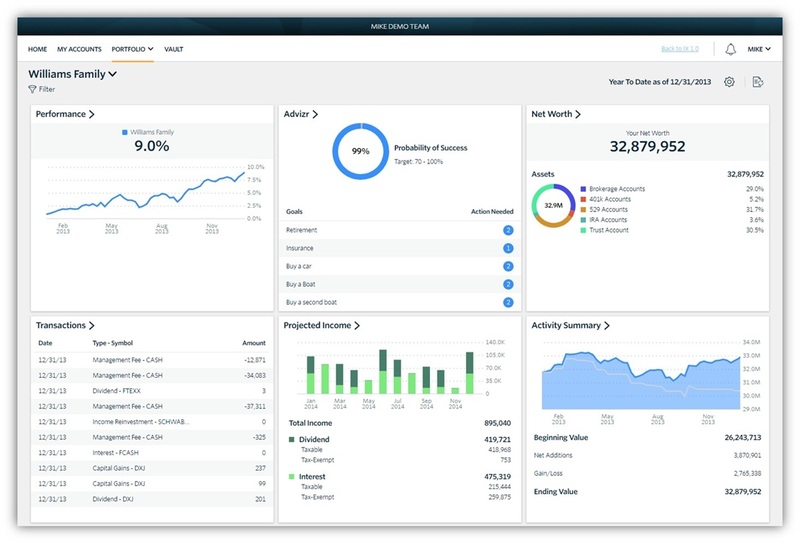 Black Diamond is the performance reporting tool. This online tool provides high-powered reports of all the accounts managed by SBI Wealth Management. Black Diamond is extremely detailed, analytical, and organized. This makes it the best place to track investment performance with real time values and easy to follow reports. Quarterly reports are loaded into the client’s vault in the SBI Wealth Portal. Clients typically use this site if they prefer more high-powered reporting. Charles Schwab acts as the custodian that holds the investments. Your online login allows you to find real-time account values, and Schwab monthly and tax statements. You may also update contact information such as: home address, email, and phone number. Please note that you will only be able to see accounts that are held at Schwab here. Outside held accounts will not be viewable in Schwab, but rather the SBI Wealth Portal is where one could see both the Schwab and outside accounts together. Clients typically use this site if they need official Schwab statements or if they need to update basic client information.